I don’t know whether I have any antecedents who watched the weather, but I do know that my youngest daughter, Elizabeth, inherited my penchant for turning on weather reports and transmitting them to anyone who will listen each morning. In the order of morning breakfast: first, there is the blessing of food; then the weather report. Before the advent of iPhones, I received weather reports via television, but now, after I look outdoors and survey the heavens, I push the little app for “weather” to discover whether I’m under a cloud or the sun is going to brighten my day. A deceased friend of mine, James Wyche, went a step further in weather watching by gauging and recording rainfall at Belmont Plantation in New Iberia, Louisiana for the National Weather Service for years. I don’t know who took over Jimmy’s responsibilities, but I’ve often thought about measuring the deluges that overtake my sinking backyard here in Louisiana. And following these inundations, I’ve also thought about taking a mosquito count of the maringouins that hover around the flooded patio. According to Lucia Stanton in “Monticello Weather Report,” Thomas Jefferson was a sophisticated weather watcher who kept a meteorological journal at Monticello in Virginia and in Paris, France during the five years he spent there. His observations went a step further than Jimmy’s in that he recorded the temperature range, rising each day at first light, which he considered to be the coldest time of the day, to gauge the temperature. Then he would take more readings at 3 – 4 o’clock, recording them in an ivory pocket book and copying them in better form later. In addition to the weather, he’d record the appearance of birds, frosts, and the leafing and flowering of trees. 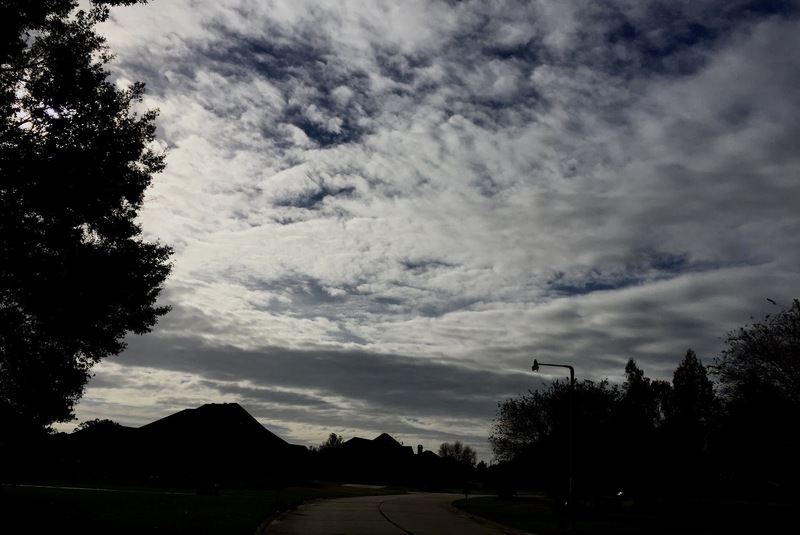 He also recorded whether the day was cloudy, fair, rainy, or snowy. and the heavens are polluted everywhere. a strange pollen falls on bare heads. Armageddon on the weather channel. the climate of last resort. And no one really wants to go outdoors. Every time I turn into my drive lately, three freshly-cut stumps reproach me. 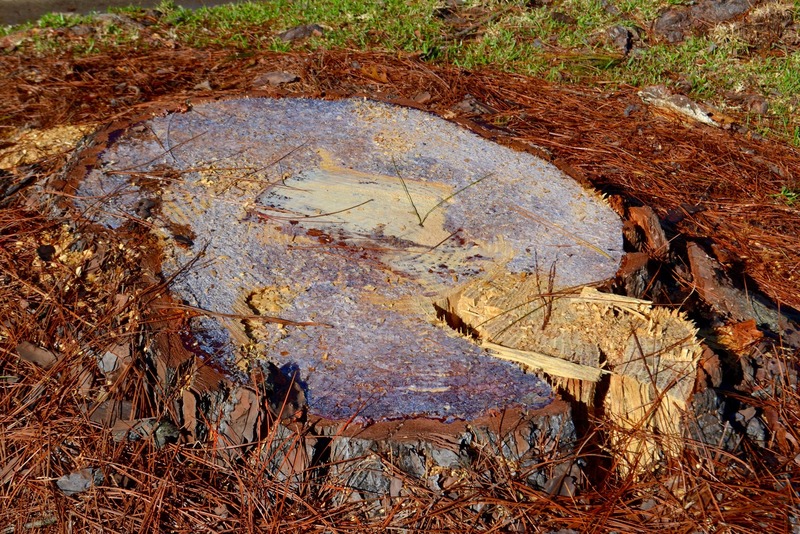 They are the remains of 75 ft. pine trees that had been in my front yard for thirty-seven years – tall, cheerful pines that survived several severe hurricanes with few scars to their scaly, alligator bark. I will miss their whispering voices when south winds blow in, but they shouldn’t have intruded on the plumbing in my home. When we returned from The Mountain in Tennessee a few weeks ago, the roots of these straight-trunked, sun-loving beauties had extended their fingers across the entire length and width of the yard and reached deep into the maze of plumbing lines that ran under the front lawn. One of them had gradually overpowered the edge of the drive leading to the rear of my home as most of my friends enter by the back door, and I had begun to get serious complaints about their near-misses of the tree when they backed out. My tall, cheerful pines had to go. Pine trees have always been part of my life. During my childhood in Franklinton, Louisiana, after we returned from a long summer trip gypsying in California, my mother was drawn back to the piney woods of southeast Louisiana where my grandfather had settled after he left Hazlehurst, Mississippi, another pine tree habitat. My trees were slash pines, and they were young compared to some venerable ones that live to be between 100 – 1000 years of a — they obviously tolerated the poorly-drained soil in my neighborhood, which most pines do not. One summer on a visit to California, my botanist friend, Vickie, and I turned off on a road leading to the oldest bristlecone pine tree in the U.S., an ancient specimen 4600 years old, but we were forced to turn around before reaching it after ten miles or so because of intense heat and no water in the car. I will miss picking up the cones with my grandchildren who’ve always been attracted to them when they came to visit, filling their wagons and transporting their prickly cargo to the coulee behind my home. These pine cones are heavy with symbolism and are reputed to represent the Third Eye of the Soul and enlightenment, so I’ve slain some totems of spirituality by having cut down the trees that bear them. One legend attributed to pine cones is that they were actually the fruit from the Tree of Knowledge of Good and Evil in the Garden of Eden, so you can see I’ve really felled the bearers of true enlightenment. The Pope of the Roman Catholic Church, whose sacred staff has a pine cone atop it, might be appalled! The sight of those tall beauties must have had some mystical influence on creativity because the Muse has not been visiting me so often since the demise of the pines, and I haven’t even been able to write a Eulogy for Pines. This is the best I can do for my old friends. I will miss the clean, sharp smell of pine needles that often energized me when all else failed and I stepped outdoors to breathe their scent … but, alas, I am inured to indoor plumbing. 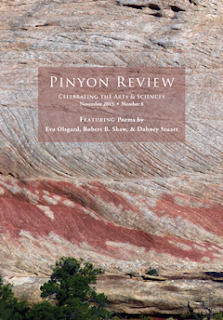 When I opened the latest edition of Pinyon Review, A Journal Celebrating the Arts and Sciences, I was initially puzzled by Editor Entsminger’s introduction to the journal entitled “The Scarecrow,” but after reading the entire issue I realized that he had transposed and woven short lines from most of the selections within its pages to form a lovely introductory mosaic. In this issue, he also treats us to one of his own lighthearted poems about a cowgirl in a “pheasant feathered felt derby hat” who roams in a place where “no one spends/ their lives on indifferent things,” setting the tone that represents most Pinyon Review issues – a tone that combines levity and serious thought. The Pinyon Review is always a “glad surprise,”* and this November issue contains a gracious plenty of poetry and art, but the cogent selection that spoke to my condition was a provocative book review of Notes on the Death of Culture by Nobel Prize winner Mario Vargas Llosa. In this critical review about cultural decline, Jack Starr underlines LLosa’s idea that “…committed writers should resist the temptation to seek immediate success through entertainment alone…and must breathe life back into our culture, our development of the mind, our way of life, and our spirit that guides…” In the short three-page review, Starr elucidates Llosa’s warnings that modern culture has become “a spectacle, a vehicle of entertainment lacking value in all but the present moment or hour, to relieve our boredom…we measure our pleasures as quantities not qualities – and thus, we easily forget them…” These excerpts are just the tip of the iceberg in a review that will startle readers into serious pondering about Llosa’s ideas concerning the return of literature and art to their place as “the common denominator of culture,” and a return of religion to the spiritual realm, rather than to systems devoted to dogma. There are so many excellent poets in this issue that I’d stretch the limits of this blog to include all of them, but as I began writing this, I glanced at the top of the bureau where an alebrijes creature stands. Friends bought this art piece crafted by a native Zapotecan for me on a trip to Oaxaca City, Mexico. They advised that I should view it daily to remind myself to persist in writing poetry rather than let some negative monster in the mind devour the Muse. Carried by some mysterious current of synchronicity, I turned to the pages featuring Eva Olsgard’s three poems, and saw the title “Angels de Oaxaca.” Imagine my shock when I read these lines: “Ninas know how to receive you. They know what to make/of your spiked tail, tongue and ears. Know that only the joy/of reaching your many textures will dispel the delusion/of using your many colors to delineate a difference/between your horns and your wings...When the wind knocks you/down,/the wind knocked out of you/releases your:/tail/wings/horns/spiked tongue…you persist to remind them./It is in their own hands,/recreating themselves,/enlivening the loving delight they find in themselves.” If you’ve ever seen one of these delightful creatures the Zapotecans create, you’ll appreciate the mystical imagery in Angels de Oaxaca. The poem gave me a new perspective about the creature above, which I've been regarding as an object that devours creative ability. "Angels de Oaxaca" is written by a poet who performs her own poetry, and readers can envision her performing this particular poem, costumed as an alebrijes character. Three renderings of Jay Friedenberg’s pastel work appear in “Color and Rock” — depictions of “Pink Canyon” on the Apache Trail east of Phoenix, “Distant Butte” in Bryce Canyon, Utah, and “Mountain Range” showing the red mountains near Red Rock State Park, Nevada. Friedenberg also writes haiku, and readers can discern a touch of poetry in his soft and hard pastels of rock formations featured in this issue of Pinyon Review. Available at Pinyon Publishing, 23847 V66 Trail, Montrose, CO 81403. This whimsical piece spoke to my condition as I looked out at the gunmetal sky from which sheets of rain fell. The poem appears in After Eden by Diane Vreuls and is an amusing innovation placed among more serious poems that “curve back again to [their] norm,” as T.S. Eliot once wrote. Most of the lyrics in this volume express the entirety of the poet’s sensitive life through spiritual musings in which the reader should not fear abstractions or ornamentation. 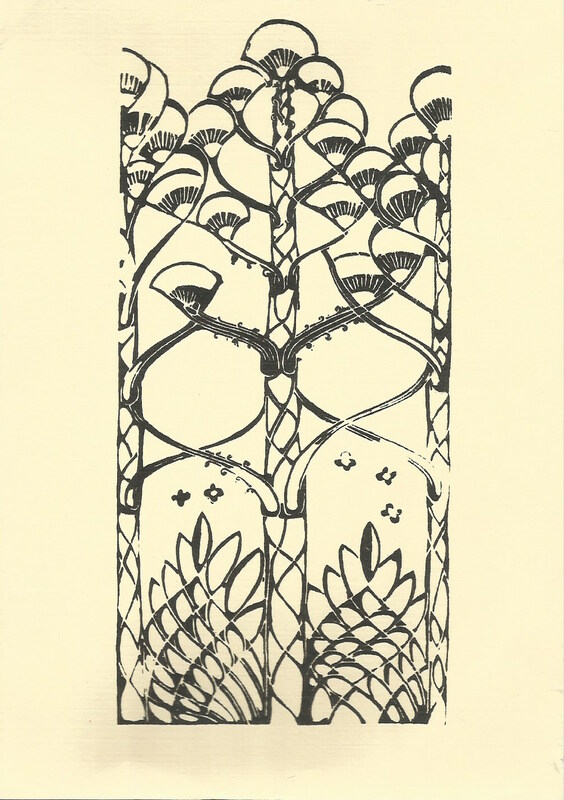 There is clarity and concise perfection in Vreuls’ poetry about her spiritual journey, beginning with her observations about the Annunciation and culminating in “Botanicon,” a poem using plant symbolism to represent the depth of the poet’s feelings about Christ’s resurrection: “Each march/the earth/sends forth/fresh shoots/of bush and tree/not pale/firstlings/of green growth/but wine-/red tendrils/carmine whips/a blush/of buds/burst from/earth’s blood/announcing Resurrection.” Here, the poet takes the mysterious and inscrutable and translates it into one of Nature’s rituals without using elaborate art or superfluous lyrics. In five sections of poetry that are a mixture of exaltation and truth seeking, Vreuls’ voice is at once prophetic and sympathetic. Her lyrics speak of both imperfect and perfect experiences and are expressed with a true poet’s sensibility. The poems often cast light on what is hidden in the human experience; e.g., the beautiful tribute to Saint Sourise, which is my favorite: “The night she heard the cries of a man being tortured/two countries distant, she prayed for the one/who awakened her, then for the torturer…Reclining after her midday meal she heard the cries/of the infant Jesus and ran to gather him close./In the stall lay a newborn calf nosing the teat of its mother…The cries of a woman in labor/gladden her heart. It is the sound,/she says, of the Earth birthing the day…Come to the altar, she cries,/and you will hear your name whispered/in the pouring wine…She is said to have died of grief—the grief/of others. If you wake in the night, she told us,/you have heard my cry.” There is something deeply Celtic in this poem, particularly in the line “of the Earth birthing day,” and the last line reads like a spiritual invocation. I could envision the Anglican sisters at St. Mary’s in Sewanee, where I worship when I am in Tennessee, chanting this poem at Morning Prayer or Vespers. 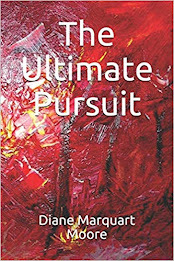 Diane Vreuls is a poet who does not oversimplify the human predicament but is a powerful spokeswoman for the spiritual life and expresses the finer shades of feeling in her visionary work. 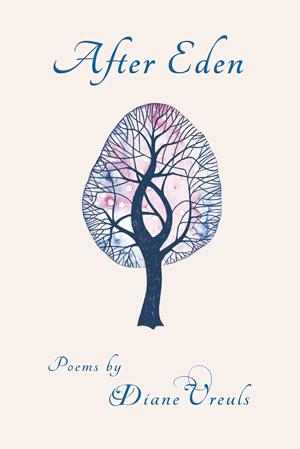 She represents the growing body of outstanding contemporary poets being published by Pinyon Publishing. A recipient of an NEA Fellowship, she has published a novel, a short story collection, a children’s book, and a book of poems. Her work has appeared in Commonweal, The New Yorker, and the Best American Short Stories. She lives in Oberlin, Ohio. Pinyon Publishing is an independent press located in Montrose, Colorado and its co-editors/publishers, Gary Entsminger and Susan Elliott, are dedicated to producing some of the best writing and art of our times.